Orchard Commons is one of our newest residences. 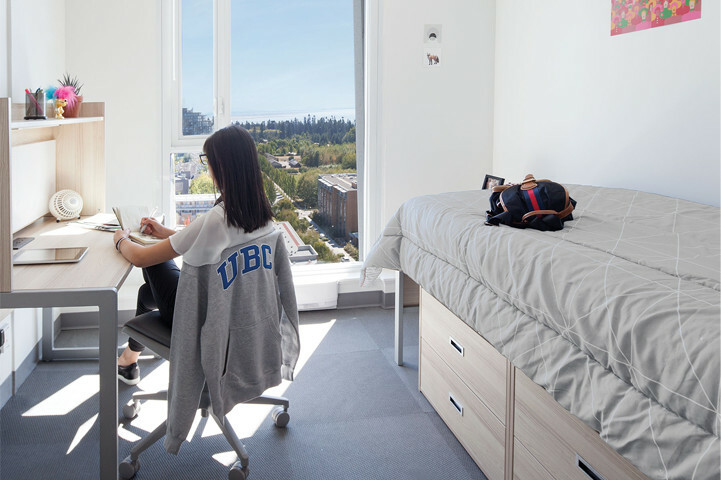 It's ideal for students who are new to UBC and want space and time for studying, the comforts of home, and a relaxed communal atmosphere ideal for making new friends. 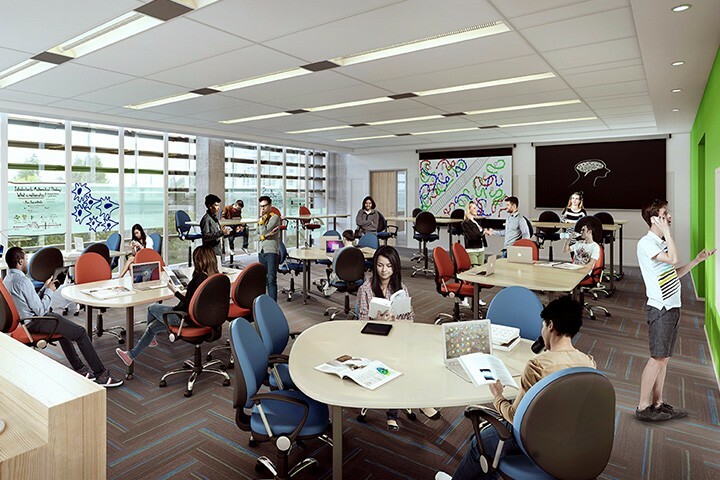 Students always have someone to walk to class with, talk to, or have dinner with, all within a fun and supportive environment. 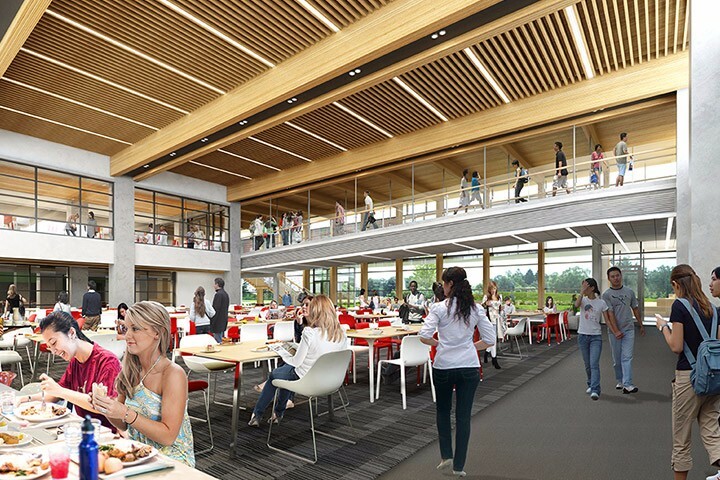 The building features stunning architecture and design, a LEED Gold certificate, dining facilities as well as interconnected floor lounges with snack kitchens and wonderful mountain and ocean views. It is also home to Vantage College. Double rooms have basic furnishings and shared private washrooms with showers and toilets. Orchard Commons residents don’t have to cook. 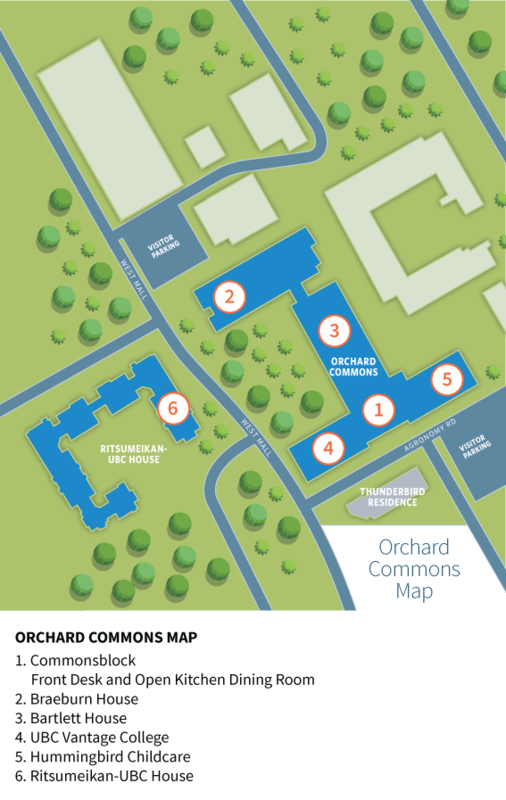 All residents purchase a meal plan, valid at more than 30 places to eat, including the Orchard Commons Dining Room. Available 24 hours, 7 days a week for support and administrative services. 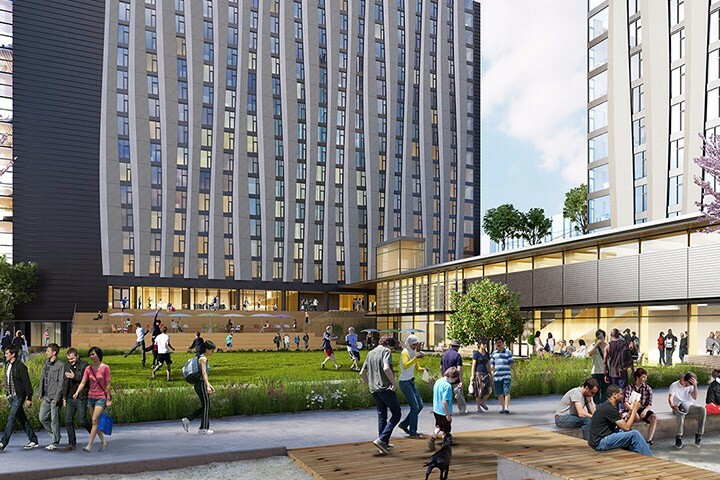 Sustainability is a shared value in residence. Orchard Commons has waste sorting stations with collection bins for household recyclables, e-waste and charitable donations. The Dining Room has an area to separate and compost food waste. Machines operate on a convenient card system—no need to worry about coins. Facilities are located in each House. Monthly parking is available for a fee. A bike hook is provided in your room. Orchard Commons features a large courtyard perfect for lounging or playing sports and it is adjacent to many campus recreation facilities. 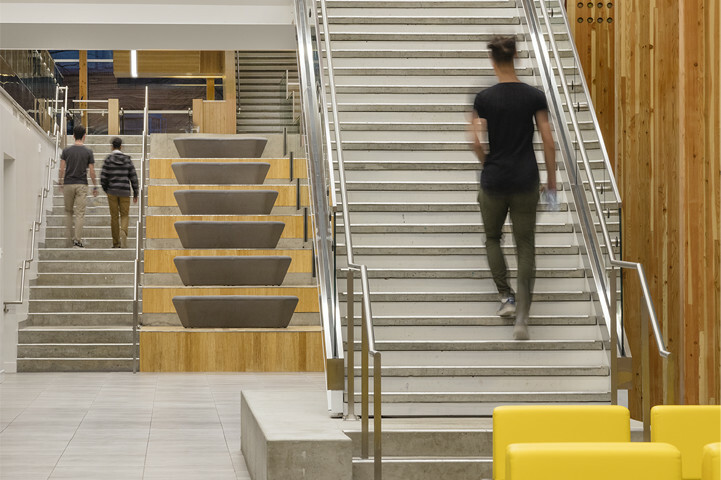 Residents have access to a full array of services including the campus medical clinic, couselling services, and personal safety programs. 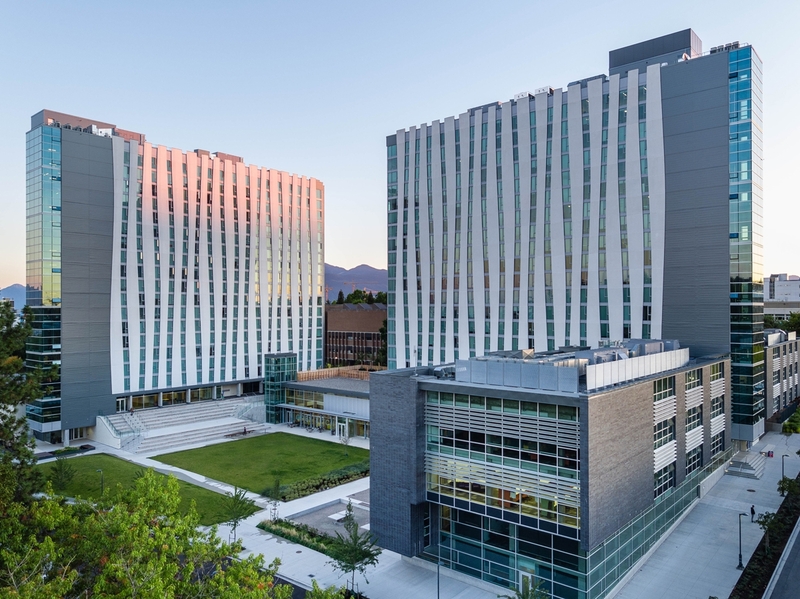 UBC has been recognized internationally for its commitment to sustainable living. Many residences and rooms have modern sustainability features designed to reduce waste, energy consumption, and water use. 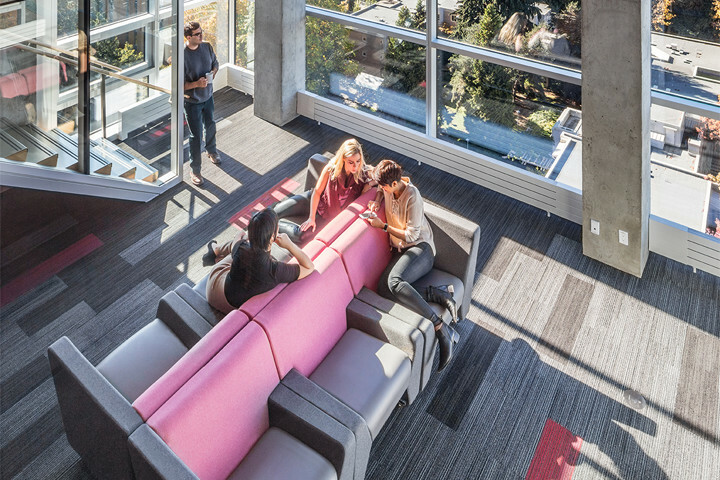 Read the design & sustainability case study for Orchard Commons. Orchard Commons’ Residence Life team consists of professional staff, as well as student staff, who work with residents to promote safe, inclusive, caring and enjoyable residence communities.